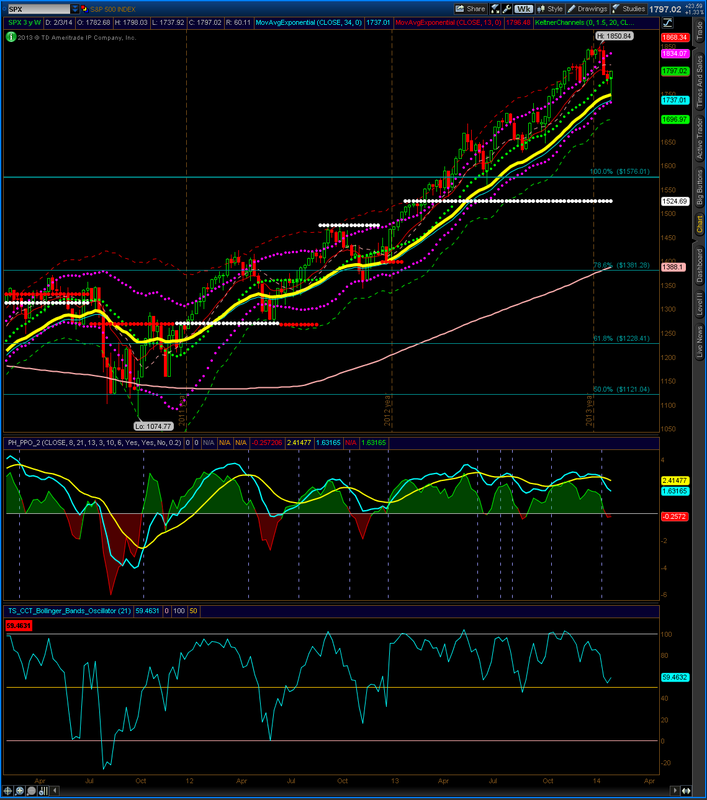 The S&P 500 weekly is showing another new high along with a close above the upper Keltner channel. This is also the first close above the 6 month opening range. Until sustained weakness is shown, the weekly outlook is bullish. I guess everyone’s watching previous highs. 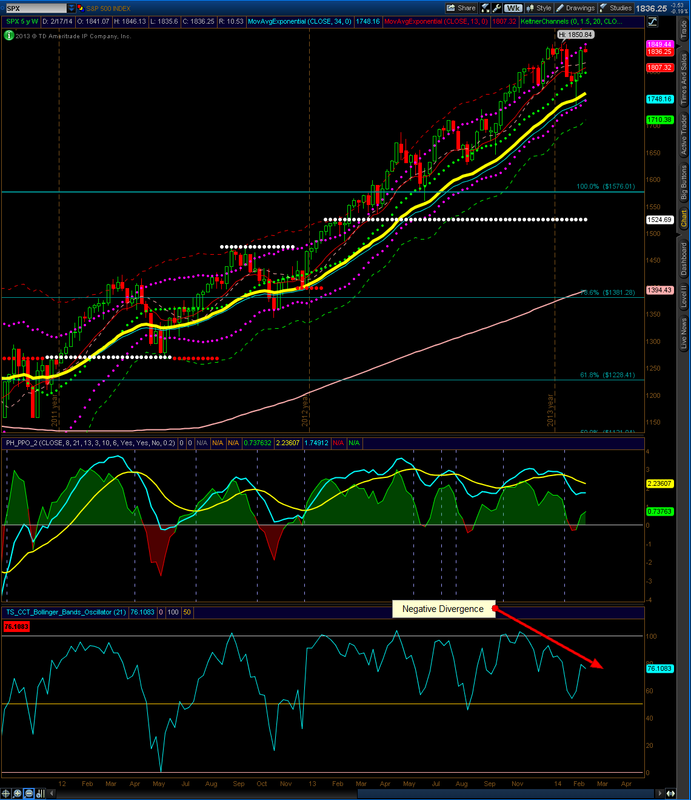 The S&P 500 Weekly is showing a close right below the upper Keltner line. If the market rallies above 1849, new highs will be made, while a sell off could retest 1800 or lower. This is the second week that the market has closed back in the six month opening range. 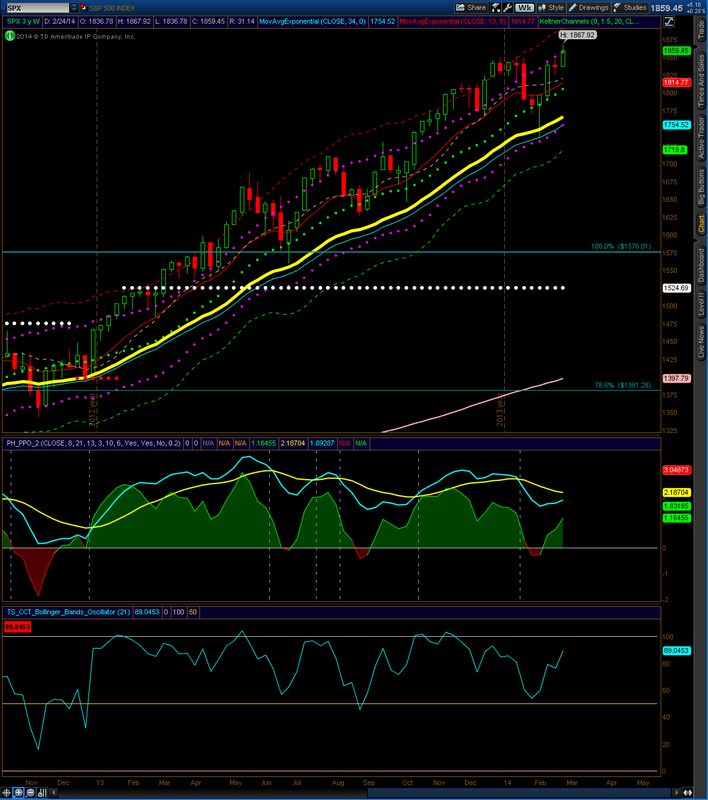 The CCT indicator is showing negative divergence or waning momentum in the rally. The weekly outlook is neutral to bullish. The weekly outlook remains neutral.